Greetings, Blog Readers. I apologize for the large gap in posts. I’ve been working a lot and getting up to speed on new content, technology, travel, etc. Mental Health Week is almost over and I feel compelled to post something on this topic as it’s so relevant to my blog. Recently, the topic of mental health & medication has come up. I’ve read quite a few blog posts and articles by those opposed to having children take medication for “minor” mental health-related diseases and syndromes such as depression, anxiety, ADHD, and Asperger Syndrome. Beyond life-saving results for some, prescription medication can have devastating side-effects. From lethargy to increased anxiety, dry mouth, trouble sleeping and decreased appetite (I sound like an announcer on one of those pharma co. TV commercials! ), the vast majority of physicians and parents of children with mental health disorders consider medication very, very carefully before introducing it to their child. Do the pros out way the cons? Will medication make the child’s life easier and better? Does the child (if she’s old enough to understand) want to take the medication to increase quality of life? Is this a “forever thing” or can he eventually be weaned off? Will “talk therapy” combined with medication improve the situation even more than taking meds alone? 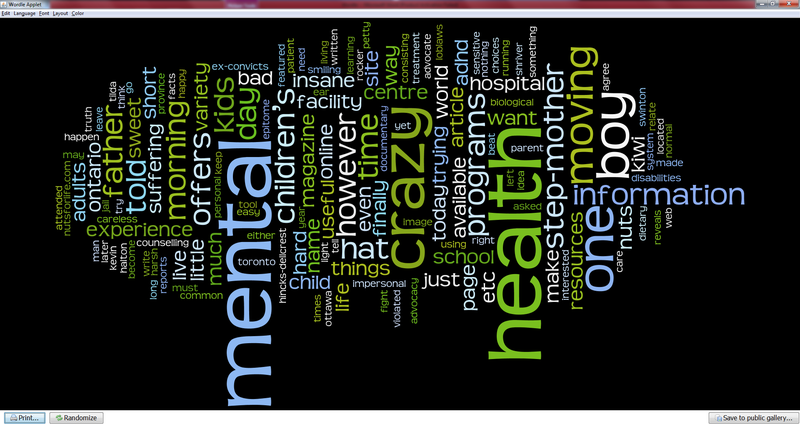 What are your thoughts on children and mental health medication? Do you have any experience with improvement or devastating effects? Did therapy help more than meds for your child? I’d love to hear about your experiences.